Where can the Diploma in Nutrition course take me? We are all becoming more and more aware of the importance of healthy eating. As a nutritionist you will be able to advise people on their diets, and how they can improve their health and lifestyle by considering what they eat. This is a growing sector and the demand for nutritionists is high. 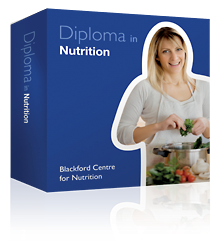 A Diploma in Nutrition will allow you to set up your own business as a practising nutritionist. You’ll be dealing with all kinds of clients: advising people on how to improve their diet, talking to clients who want to lose or put on weight and recommending how vegetarians can maintain a healthy diet. These are just a few examples of how you'll be able to use your Diploma in Nutrition to analyse and advise on the needs of your clients. Your clients will come from different age groups and from different backgrounds. You could be dealing with children, teenagers, adults, or older people. All will have different needs in terms of their diet, and the Diploma in Nutrition will show you how to improve the lives of these people with a healthy diet.